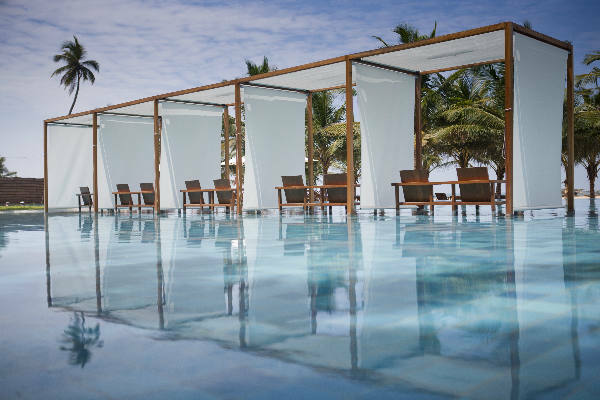 Sitting proudly on the Negombo coastline, the recently-renovated Jetwing Blue resort is the epitome of contemporary elegance. 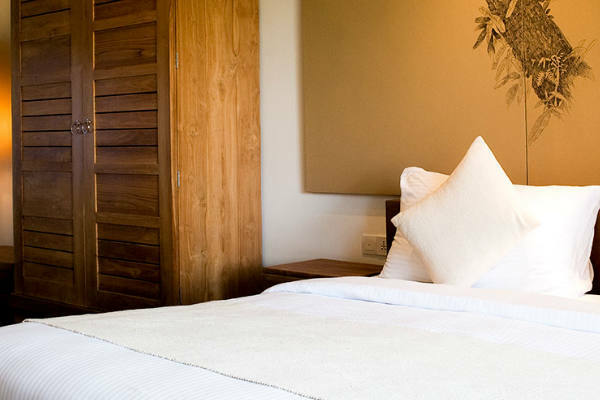 Add into the mix a wealth of on-site facilities, tasty cuisine created from locally sourced ingredients, plus some of the most stylish accommodation in Sri Lanka, and you have the perfect recipe for a relaxing couple’s getaway. 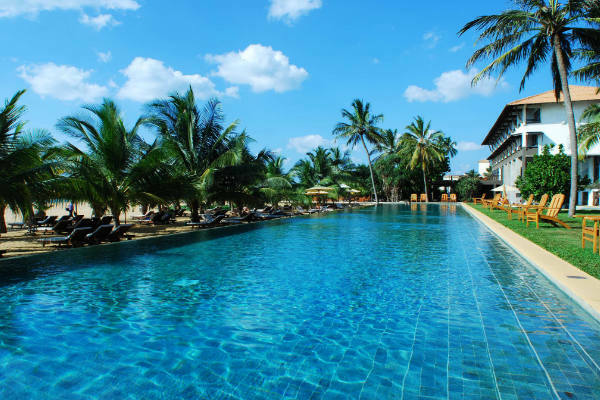 The picturesque pool area is lined with palm trees and tropical gardens, with a golden sandy beach just steps away. Treat yourself to a massage at the indulgent spa, or enjoy a morning workout in the well-equipped gym. 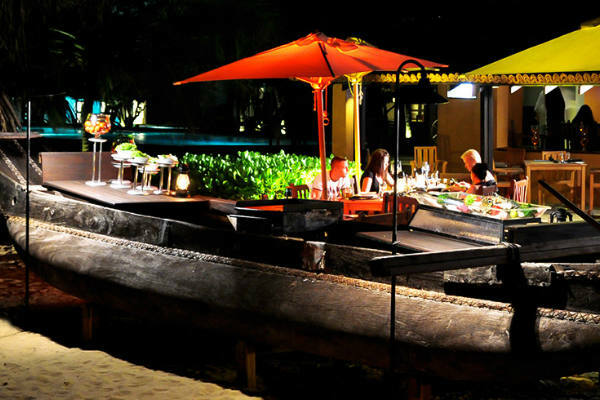 Evenings bring romantic strolls along the beach, candlelit dining under the stars or sipping signature cocktails from the bar. Choose from three different restaurants to dine in, serving delicious world foods including authentic Eastern and Western flavours. Return to your luxury suite after a busy day, and relax and unwind watching the sunset from your balcony. 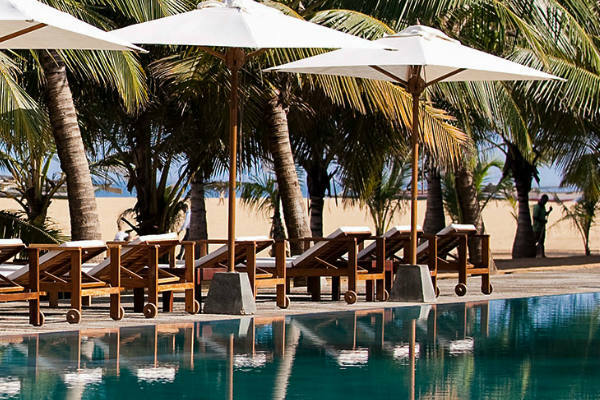 Jetwing Blue has all of the amenities you'd expect from a four-star hotel in Sri Lanka. Some highlights include: two swimming pools, gym, spa, three restaurants, bar, complimentary Wi-Fi, car rental, childcare centre, and gift shop. Other services include: doctor on call, room service, laundry and dry cleaning service, gem and jewellery shop, left luggage facility, wine tower, spa shop, and wedding planner. The culinary journey at the Jetwing Blue presents a host of round the world flavours to tempt you. The Kitchen Restaurant Negombo provides a unique preparation venue where you can watch live cooking. 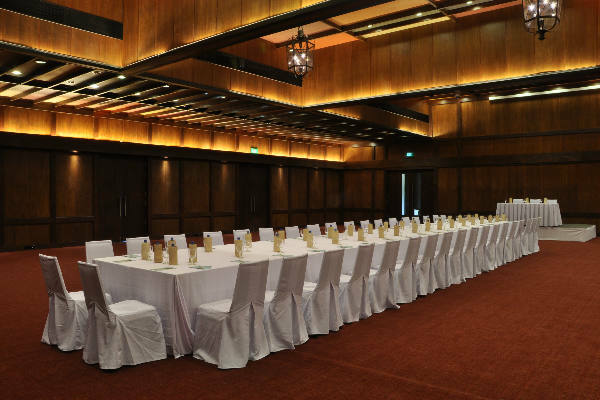 Enjoy an extensive a la carte menu and delicious buffet meals featuring Eastern and Western dishes. 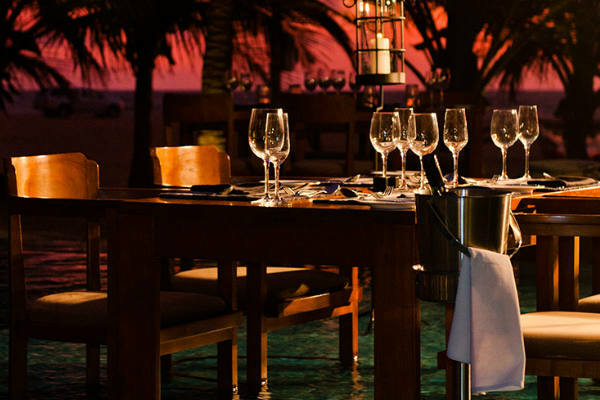 Dine at the water's edge with the Beach Dining option, here you can take in the breathtaking views of the bay while enjoying delicious dishes from the hotel's restaurant. 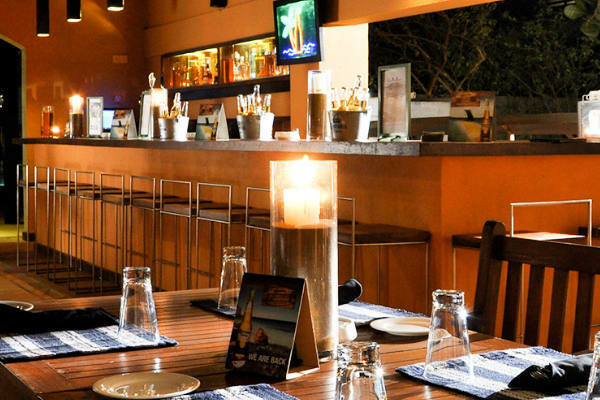 Center Point Grill & Bar Negombo offer snacks and light meals in an informal setting. Visit The Float for a fine selection of wines, beers, liquors, and cocktails. 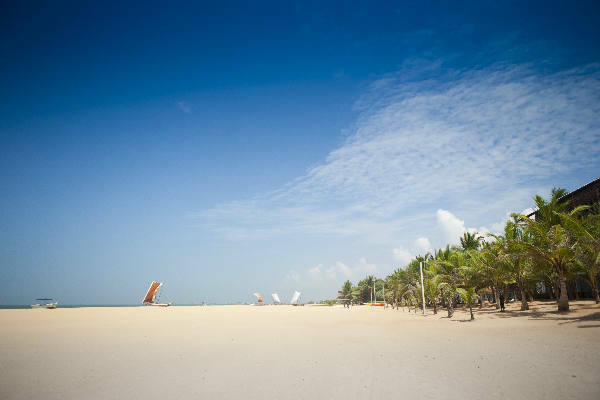 Keeping up with your fitness regime is easy; the gym is kitted out with all the latest machines and tennis and volleyball are available at the nearby Jetwing Beach. The spa offers a menu of treatments and therapies, along with changing rooms, massage and treatment rooms, steam room, and refreshments. A great selection of excursions are also available to book, including: diving trips, bird trails, religious trips, national parks, archaeological sites, city tours, and boat rides. 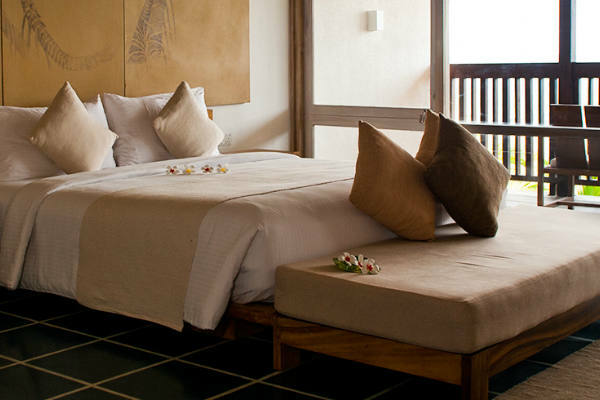 The four-star Jetwing Blue resort presents 120 luxury guest rooms and suites in a range of standards. As standard, all rooms feature: private balcony or terrace with sea view, en-suite bathroom, air-conditioning, telephone, tea/coffee making facilities, bottled water, safe, hairdryer, magnifying mirror, bathrobe and slippers, shoehorn, torches, shopping bag, minibar, iron and ironing board, DVD library, DVD player, and satellite TV.